To assess the diagnostic efficacy and therapeutic impact of CT in evaluating patients with clinically suspected otosclerosis. CT scans performed over a 5-year period for clinically suspected otosclerosis were retrospectively reviewed. CT diagnoses were correlated with subsequent surgical management. For otosclerosis positive cases, clinically significant extensions of otosclerosis were correlated with audiometry and the diagnosis was correlated with surgical findings. Of 259 CT studies, 46 % of patients were positive, 49 % negative and 5 % equivocal for otosclerosis. 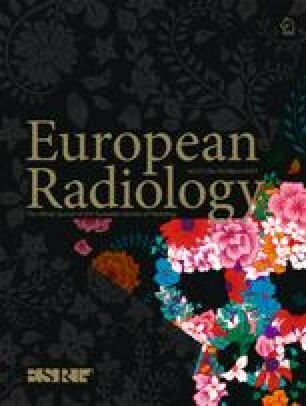 A relevant alternative CT diagnosis was evident in 33 % of the negative studies. One targeted surgery was performed for every four CT studies. CT outcome influenced the decision to perform stapedectomy in 41 % CT-positive versus 4 % CT-negative patients. CT-positive ears for otosclerosis could not be predicted from baseline clinical or audiometric criteria. Those with endosteal extension demonstrated lower bone conduction thresholds presurgically. The positive predictive value of CT diagnosis of otosclerosis was 100 %. CT demonstrated a high rate of clinically relevant diagnoses in both CT-positive and -negative for otosclerosis patients, and this frequently influenced surgical management. CT also added value by demonstrating relevant extensions of the otosclerotic foci, some of which were predictive of audiometric parameters. • CT demonstrates a high rate of alternative diagnoses in suspected otosclerosis, 1:3. • CT results in a high rate of targeted surgery in suspected otosclerosis, 1:4. • CT prevents exploratory surgery in suspected otosclerosis. • Endosteal extension of otosclerosis is predictive of lower bone conduction tresholds presurgically. • The PPV of CT diagnosis of otosclerosis was 100 %. The scientific guarantor of this publication is Dr. Steve Connor. The authors of this manuscript declare no relationships with any companies, whose products or services may be related to the subject matter of the article. The authors state that this work has not received any funding. No complex statistical methods were necessary for this paper. Institutional Review Board approval was obtained. Written informed consent was waived by the Institutional Review Board. Methodology: retrospective, diagnostic or prognostic study, performed at one institution.